Are you in need of bee removal in Fairbanks Ranch? Look no further than D-Tek Live Bee Removal for all your bee hive removal solutions. We are a local San Diego business based out of Vista, CA and service all cities in San Diego County. Our specialty is the humane removal of honey bees. We use a custom designed vacuum system to safely remove all the honey bees from your Fairbanks Ranch home or business, then drop off the honey bees to our own beekeeping farm . While all of the above steps in the bee removal process are important there are two that will guarantee bee control. The first one is the complete removal and extraction of all bee hive and honey comb. Because bees have an excellent sense of smell it is very important that we fully remove all the bee hive from the area the honey bees have infested. If the bee hive and honey comb is not properly removed there is a much higher chance that the honey bees will return in the near future. The second reason it is very important to remove all the honey comb and bee hive is that if it is left behind the honey will melt out. This can cause damage to drywall, staining of the stucco, damage to electrical wiring, damage to the wood framing, etc. It also puts you at risk for other common household pests showing up to take make a meal of the old left over bee hive and honey comb. Ants, mice, rats, etc. At D-Tek Live Bee Removal we guarantee all of our bee removal repairs. [/blockquote] Roof, stucco, and siding repairs and guaranteed to be free from defect and to be leak free. All drywall repairs are guaranteed to blend seamlessly with the surrounding area. D-Tek Live Bee Removal is fully insured and we offer free estimates and inspections. We always offer our proof of insurance at the time of the free estimate and inspection. After the live bee removal has been completed it is time to start the bee proofing process. This is also referred to as bee control. Using a variety of materials and methods we will patch all the entry and exit points that the honey bees were using to gain access to your Fairbanks home or business. We also bee proof in a 10 foot radius around the original entry and exit point. That is always included with every bee removal in Fairbanks Ranch. D-Tek Live Bee Removal also offers whole house bee proofing and bee control services in Fairbanks Ranch. Have one of our expert bee removal technicians inspect and bee proof every crack, crevice, vent, etc so you won’t ever have another bee problem again! We guarantee all of our bee proofing and bee control services in writing. We have many different beekeepers that we drop all of our honey bees off to after the bee removal process has been completed. For bee removal in Fairbanks Ranch we drop the honey bees off to a beekeeper in Encinitas. If the beekeeper in Encinitas is not available we drop the honey bees off to a beekeeper in Temecula. The beekeeper in Temecula is located in the wine country area. Tired of having a bee problem at your Fairbanks Ranch home or business? 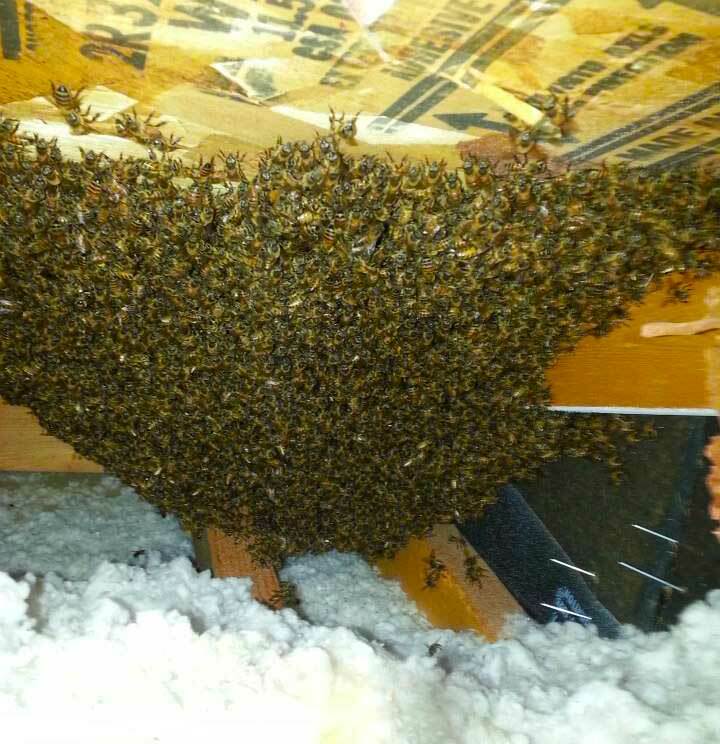 Give the professionals at D-Tek Live Bee Removal a call today! The owners direct line is 760-224-3040. If we do not answer just leave us a detailed message and we will call you back ASAP! There is also a bee removal service request contact form on this website. Simply fill it out and we will get back to you. D-Tek Live Bee Removal can usually have your bee problem resolved within 24 hours of first contact. Call today!